A merchantman sails home to England from India with passengers whose lives will be altered forever when it hits the treacherous reefs of the Isles of Scilly. 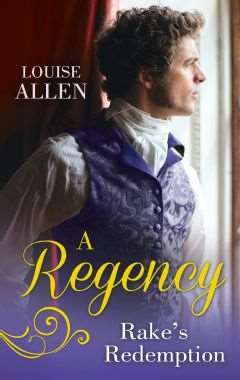 Lady Perdita Brooke puts a carefree face on heartbreak and scandal and her sharp wit soon finds a worthy opponent in the devastatingly attractive shape of Lord Alistair Lyndon. Three months on board ship bring them into dangerously tempting proximity; one night of ultimate danger reveals a secret that threatens to part them forever. ‘Lady Grimshaw?’ Dita produced an attentive expression. The old gorgon was going to be a passenger too and Dita had learned to pick her battles. ‘It is a sari I had remade, Lady Grimshaw. I find pastels and white make me appear sallow.’ Dita was well aware of her few good features and how to enhance them to perfection and the deep green brought out the colour of her eyes and the dark gold highlights in her brown hair. The delicate silk floated over the fine lawn under-garments as though she was wearing clouds. ‘Surely speed is the purpose of the gallop?’ Dita said sweetly, and drifted away before the matron could think of a suitably crushing retort. She gestured to a servant for a glass of punch, another fast thing for a young lady to be doing. She sipped it as she walked, wrinkling her nose at the amount of arack it contained, then stopped as a slight stir around the doorway heralded a new arrival. ‘Who is that?’ Averil appeared at her side and gestured towards the door. ‘My goodness, what a very good looking man.’ She fanned herself as she stared. He was certainly that. Tall, lean, very tanned, the thick black silk of his hair cut ruthlessly short. Dita stopped breathing then sucked down air. No, of course not, it could not be Alistair: she was imagining things. The man entered limping, impatient, as though the handicap infuriated him but he was going to ignore it. Once in, he surveyed the room with unhurried assurance. The scrutiny paused at Dita, flickered over her face, dropped to study the low-cut neckline of her gown, then moved on to Averil for a further cool assessment. For all the world like a pasha inspecting a new intake for the seraglio, Dita thought. But despite the unfamiliar arrogance, she knew. It is him. It is Alistair. After nine years. Dita fought a battle with the urge to run. ‘Insufferable,’ Averil murmured. She had blushed a painful red. The movement exposed the right side of his head. Down the cheek from just in front of the ear, across the jaw bone and onto his neck, there was a half-healed scar that vanished into the white lawn of his neck cloth. His right hand, she saw, was bandaged. The limp was not affectation after all; he had been hurt, and badly. Dita stifled the instinct to touch him, demand to know what had happened as she once would have done, without inhibition. Beside her she heard her friend’s sharp indrawn breath. ‘I do not regard it, sir.’ Averil nodded with cool dismissal and walked away towards the chaperones, then turned when she reached their sanctuary, her face comically dismayed as she realised Dita had not followed her. I should apologise to him, Dita thought. But he ogled us so blatantly. And he cut at me just as he had that last time. And he only apologised to Averil: her own looks would win no compliments from this man. ‘My friend is as gracious as she is beautiful,’ she said and the amber eyes, still warm from following Averil’s retreat, moved back to hers. He frowned at the tart sweetness of her tone. ‘She can find it in herself to forgive almost anyone, even presumptuous rakes.’ Which is what Alistair appeared to have grown into. And on that note she should turn on her heel, perhaps with a light trill of laughter, or a flick of her fan, and leave him to annoy some other lady. But it was difficult to move, when wrenching her eyes away from his meant they fell to his mouth. It did not curve – he could not be said to be smiling – but one corner deepened into something that was almost a dimple. Not of course that such an arrogant hunk of masculinity could be said to have anything as charming as a dimple. ‘I am rightly chastised,’ he said. There was something provocative in the way that he said it that sent a little shock through her, although she had no idea why. Then she realised that he was speaking to her as a woman, not as the girl he had thought her when he had so cruelly dismissed her before. It was almost as though he was suggesting that she carry out the chastisement more personally. Dita told herself that one could overcome bushes by sheer force of will, especially as she had no very exact idea what she was blushing about. ‘You do not appear remotely penitent, sir,’ she retorted. Sooner or later he would realise who he was talking to, but she was not going to give him the satisfaction of acknowledging him. ‘You struck first,’ he pointed out, accurately and unfairly. ‘For which I apologise,’ Dita said. She was not going to act as badly as he. Even as she made the resolution her tongue got the better of her. ‘But I have no intention of offering sympathy, sir. You obviously enjoy fighting.’ He had always been intense, often angry, as a youth. Something in the mocking, cultured tones still held the faintest burr of the West Country. A wave of nostalgia for home and the green hills and the fierce cliffs and the cold sea gripped her with painful intensity, over-riding even the shock of seeing Alistair again. ‘You still have the West Country in your voice,’ Dita said abruptly. ‘North Cornwall, near the boundary with Devon. And you?’ He did not appear to find the way she had phrased the statement strange. He misses it too, she thought, hearing the hint of longing under the cool tone. ‘I too, come from that area.’ Without calculation she put out her hand and he caught it in his uninjured, ungloved, left. His hand was warm and hard with a rider’s calluses and his fingertips rested against her pulse, which was racing. Once before he had held her hand like this, once before they had stood so close and she had read the need in his eyes and she had misunderstood and acted recklessly and had been savaged for her foolishness. ‘You are a Brooke? One of the Earl of Wycombe’s family?’ He moved nearer, her hand still held in his as he drew her to him to study her face. Close-to he seemed to take the air out of the space between them. Too close, too male. Alistair. Oh my lord, he has grown up. ‘Why, you are never little Dita Brooke? But you were all angles and nose and legs.’ He grinned. ‘I used to put frogs in your pinafore pocket and you tagged along everywhere. But you have changed since I last saw you. You must have been twelve.’ His amusement stripped the nine years from him. ‘I was fifteen,’ she said with all the icy reserve she could manage. All angles and nose. ‘I recall you – and your frogs – as an impudent youth while I was growing up. But I was fifteen when you left home.’ Fifteen when I kissed you with all the fervour and love that was filling me and you used me and brushed me aside like an importunate whore. But he doesn’t seem to remember – or he is not admitting it. But how could he forget? Perhaps there have been so many women one inept chit of a girl is infinitely forgettable.